Numerous key questions remain, including which highways will have tolls, the locations, the price at each tolling location, the potential discounts for Connecticut drivers, and how much the fares would be reduced during off-peak hours. 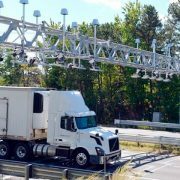 No votes were taken Wednesday, and the committee is facing of deadline of March 23 to act on tolls. Opponents submitted written testimony that questioned Malloy’s overall plan of installing tolls and increasing the state’s gasoline tax by 7 cents per gallon over four years. Joseph R. Sculley, president of the state trucking association, said that the two-tier gasoline tax, including a gross receipts tax on petroleum, pushed the overall tax on gasoline in January to 39 cents per gallon. He added that Connecticut is different from other states. See the full story from the Hartford Courant.